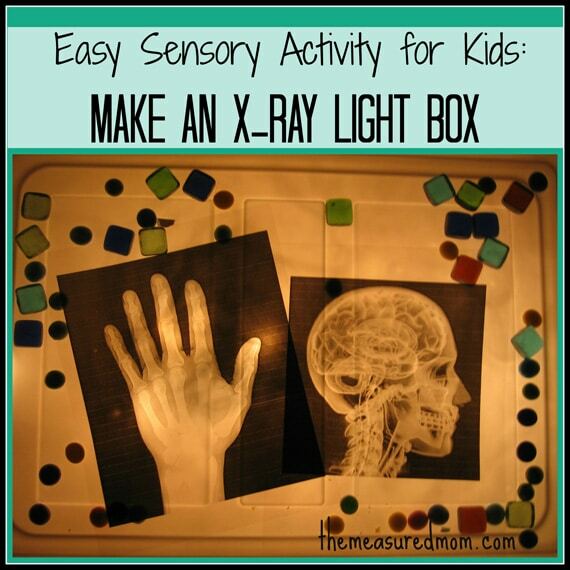 Easy Sensory Activity for Kids: Make an X-Ray Light Box! You may have noticed that I’m doing a sensory bin for each letter of the alphabet. What to do for letter X? 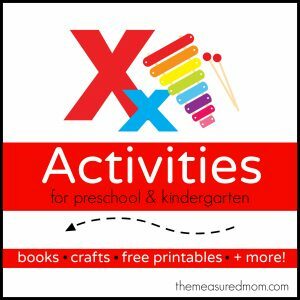 After looking at some pretty cool light boxes on Pinterest, I decided we could make our own easy sensory activity for kids: X is for X-ray! 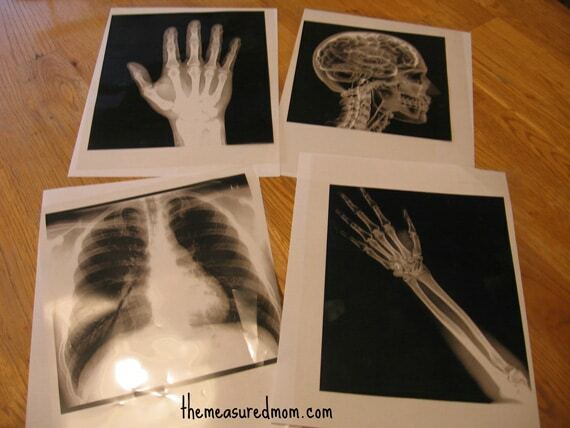 1) Search for “x-rays” on google images. 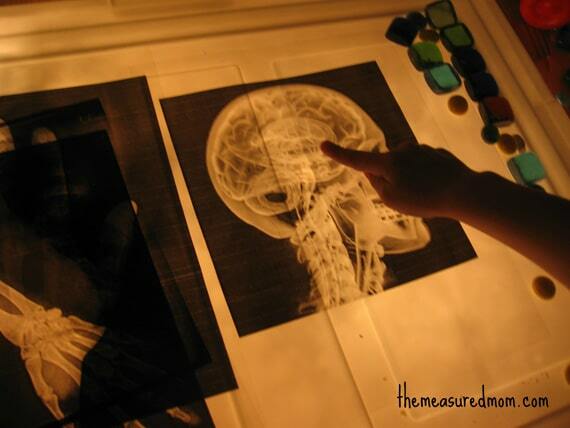 Print a few on plain paper and copy them onto overhead transparencies with a copy machine. That’s the hardest part of this, I promise. 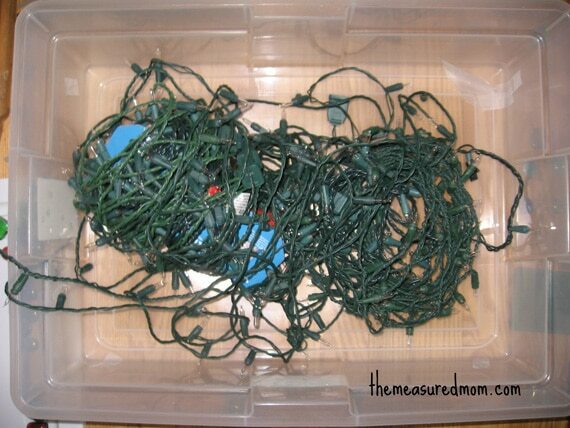 2) Get out some white Christmas lights and place the lights inside of a large plastic container. My container is transparent. Either way works. 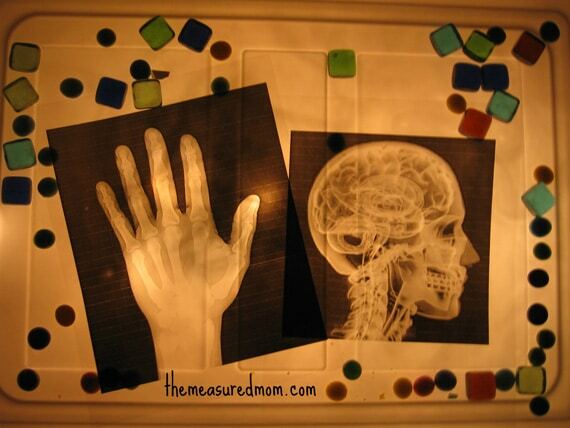 4) Give your child the X-ray transparencies and other objects for some sensory fun! My Four counted the bones in this x-ray. My Six pointed out the brain. 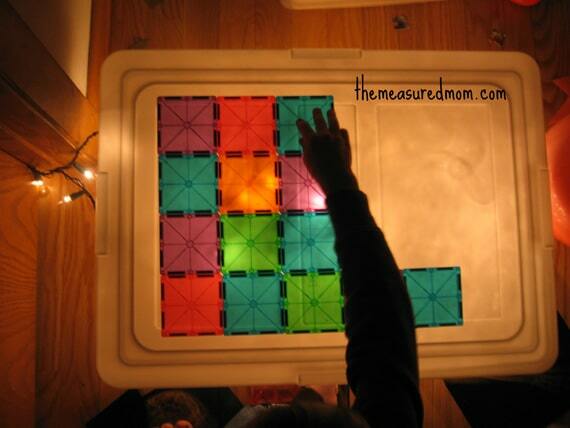 My Four had fun building with his Magna-Tiles on the light box. We added these glass gems and tiles for more sensory fun. We talked about which were opaque and which were translucent. 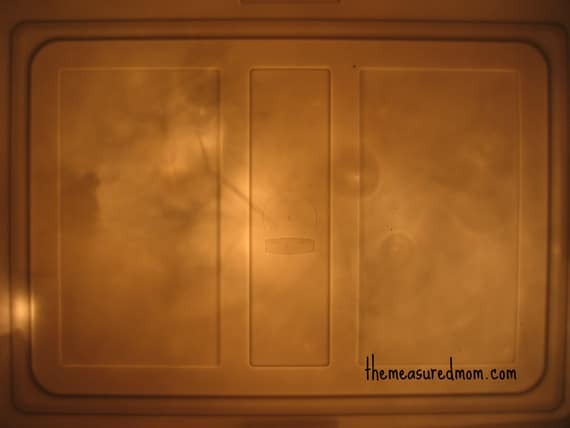 This sensory activity kept my kids busy for a short time – less than ten minutes each. But it was a cinch to make, and I can see a great use for it in the future… as a fantastic prop for hospital pretend play! 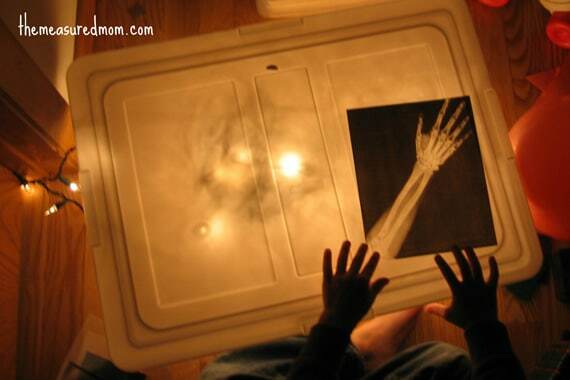 If you want more light box ideas, here’s a great post from Happy Hooligans (guest posting on CBC Parents). This is awesome! I’ve been wanting to make a light box, so I’ll be trying this out! I love those x-rays, too! Thanks, Angela! You can do much fancier, more spectacular light boxes. But we’re all about simple over here! Thanks for the tip! I’ll have to remember that for next time. So glad you can use some ideas you find here, Jean! This is so neat! I wanted to do this a while back, but never got around to it! Thanks for stopping by, Samantha! I hope it goes over well with your kids. I’d love to hear how it goes, Val! What a fun activity! I’m going to make note to try this out with my own girls! Let me know if they have fun with it, Andrea! These are great! Came by through Share It Saturday – and glad I checked it out… fun! You’re welcome, Brittany – thanks for stopping by! You’re welcome, Carrie — thanks so much for stopping by! Oooh! I need to buy a box of overhead transparencies! This is so cool! We do a light box with Christmas lights too, but we haven’t used it for x-rays. 😉 Thanks for sharing this at Teach Me Tuesday at Preschool Powol Packets! You’re welcome, Carla — thanks so much for visiting! I love your idea! We have really been getting into sensory bins/boxes here and I love that yours is so unique. I will be featuring your post on my blog tomorrow at the Hearts for Home Blog Hop! Stop by and grab an “I was featured” button! Thanks so much for the feature, Sarah! This is SO clever! What a great idea!! I featured this at TGIF this week. Feel free to grab an I was featured button if you like. Thanks for sharing all your creativity with all of us! I hope to see you linked up again later today!! This is just SO cool! Thanks for linking up to Share it Saturday. I featured your post this morning! Thanks so much for the feature, Karyn!! Thanks so much for the feature, Crystal!! I used this clever idea for my high school physics project on x-rays. Everyone loved this demonstration! Thank you so much for the idea!